Sub for your Band - your guitar or bass player can't make the gig? No problem. I have a flexible schedule, can travel, and learn songs very quickly. Songwriting - need help with your original songs? stuck with the same old boring chords? Need help with melodies or harmonies? Custom Music - need music for your corporate videos, tv ads, radio ads, or event? Can't find a backing tracks for a song you would like to perform life or record over? I can record most songs with a quick turnaround. 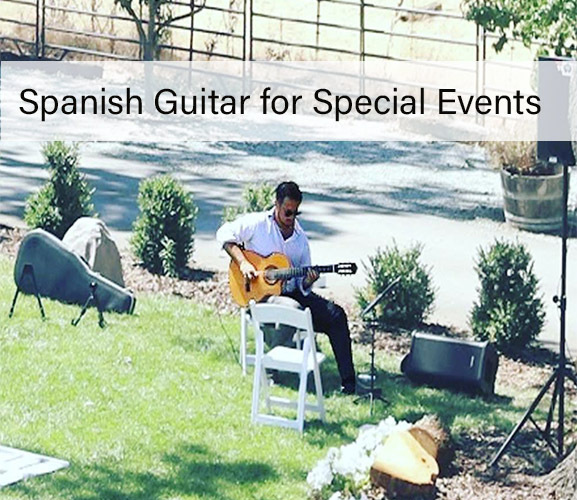 Spanish Guitar - the beautiful sounds of Spanish guitar can add a great atmosphere to any wedding, private party or corporate event.